PayDayHawaii introduces Vigo® service. Check our competitive Foreign Exchange rates and expanded receive options to Mexico and Latin American countries. For over 25 years Vigo has helped people support families across the world through its money transfer and bill payments service at participating Agent locations. Vigo Remittance Corp. started in 1986 as a small, family-run money transfer business serving the Brazilian communities in New York and New Jersey. In those early years, Vigo earned a reputation for outstanding service and was rewarded for it with the loyalty of thousands of satisfied consumers. In the late 1990s, Vigo expanded its service beyond Brazil to Mexico and continued its tradition of providing consumers with good value. Today, the Vigo Money Transfer Service is offered by Western Union Financial Services, Inc. in more than 47 US states and 50 countries worldwide. With Vigo you can be there for your family and friends when they need you most. The Vigo® service is available in more than 45 U.S. states and 21 countries. 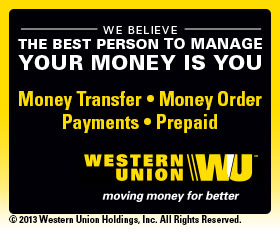 Consumers can send money within the U.S. to more than 47,000 participating Western Union® Agent locations. Send money to family and friend in many countries, including Mexico, Guatemala, Colombia, Honduras, El Salvador and Ghana. More than 14,000 payer locations - giving your family multiple options for picking up their money. 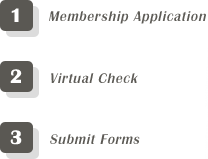 Our payer network includes banks, national retail chains and independent locations in the main cities and rural areas.